Home World Wikipedia - OR Wikiporn? The message here is that any 'Wiki' technology can and will be abused, and those that suffer most are probably children. Recently, parents have been warned not to let children use the website Wikipedia unsupervised after an entry on a popular children's book was edited to contain pornographic material. Although the offensive material was available for just an hour, is this acceptable given the number of children surfers on the net? 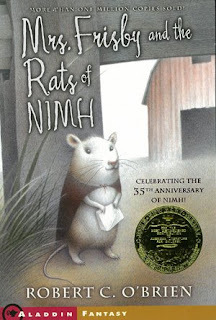 In this incident, sexual and violent acts between characters were added to the online plot summary for "Mrs Frisby And The Rats Of NIMH", which is recommended for students in years 5 to 9. NSW Parents Council executive officer of communications, Michelle FitzGerald, said "all parents" should be concerned. She went on to say, "It is a concern to the council that the internet, if used inappropriately or not supervised, can lead children into areas where they really should not be... It really comes back to parental supervision on the internet." Wikipedia's Australian representative, Brianna Laugher, said vandalism was a continuing problem for the site. "Wikipedia, in general, is not designed for a primary school audience... I don't advise any children to use it before they have had the pitfalls explained to them." A NSW Education Department spokesman said the school attended by the woman's son had not advised students to use Wikipedia as a research tool. "The department has filters to block inappropriate material on websites being accessed from school computers." But website expert Mat Hardy, who is doing a PhD on the use of Wikipedia in education, said filters generally worked on a domain basis and would not block sites like Wikipedia. The website used a program called a "bot", which automatically detects certain triggers, such as profanity or major edits. "If [the edited article] was only up for an hour or so, that demonstrates how robust the system is, even though that is one of the most obscure articles," Mr Hardy said. Optus has joined the Federal Government's broadband internet filtering trial, beginning a six-week evaluation which ends in early July. The company is the eighth internet provider to join the scheme, piloting the filter in Sydney and Newcastle households. A wiki is a Web site that allows users to add and update content on the site using their own Web browser. This is made possible by Wiki software that runs on the Web server. Wikis end up being created mainly by a collaborative effort of the site visitors. 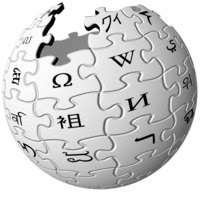 A great example of a large wiki is the Wikipedia, a free encyclopedia in many languages that anyone can edit. The term "wiki" comes from the Hawaiian phrase, "wiki wiki," which means "super fast." I guess if you have thousands of users adding content to a Web site on a regular basis, the site could grow "super fast."